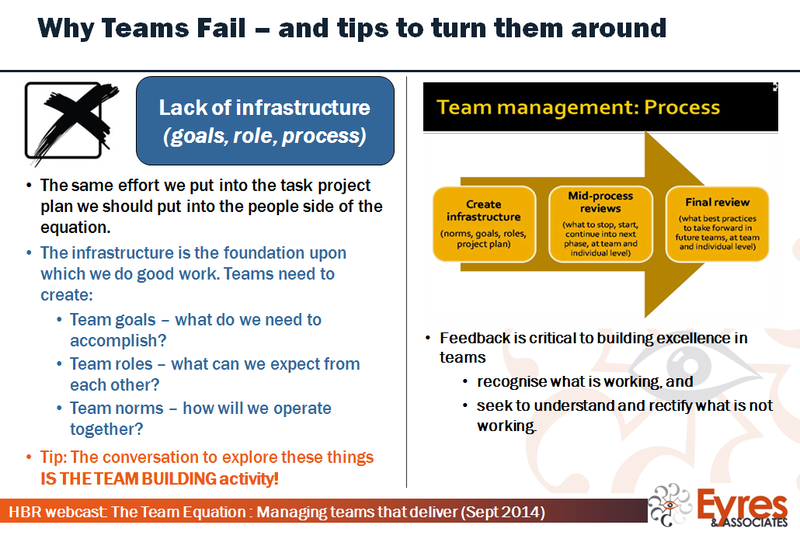 And please remember the excellent suggestions from ‘Managing Teams that Deliver’ by Mary Shapiro (HBR Sept 2014 webcast) – taking time on building the infrastructure in your team IS THE TEAM BUILDING ACTIVITY! (Click here to view our blog summary of the webcast). Teams can’t thrive without a strong infrastructure and the time taken to build it helps create the conditions necessary for excellent performance!